You are here: Home / Jyotish Gemstones and Talismans / The most powerful and fastest acting gemstone in the Universe-Blue Sapphire-The gemstone of Saturn! Heavenly Sky Blue scintillating Blue Sapphire set in sterling silver hallmarked ring. The most powerful and fastest acting gemstone in the Universe-Blue Sapphire-The gemstone of Saturn! 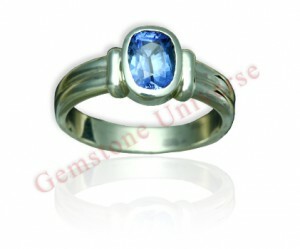 Heavenly Sky Blue scintillating Blue Sapphire set in sterling silver hallmarked ring. 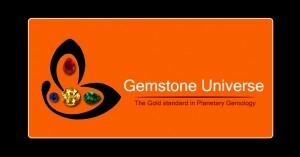 Gemstoneuniverse.com Table of Blue Sapphire Gemstone facts. Comments Today the most common form of treatment in Sapphires is heat treatment. This can be with just heat or using a light element like Titanium or similar to increase color. 99% of Sapphires have gone through this treatment and are worthless for planetary gem therapy. Featured here is a certified unheated and untreated Blue Sapphire from Sri Lanka with an intense Sky Blue color. Lovely vibes, positive energies make this a saativik Shani Talisman.